With an amazing fourth quarter (29-11), Crvena Zvezda beat Bayern Munich in a ‘do or die’ match (85-76) and advanced to top-16, whereas the Germans were eliminated. The Serbians ended the group stage with a 5-5 record, as the visitors suffered their sixth defeat (4-6) and will now play in the Eurocup. For the winners, Quincy Miller made an impressive double-double (21 points, 10 rebounds), with Maik Zirbes adding 17 points and nine boards. On the other hand, Dusko Savanovic had 19 points and six rebounds for the losing squad, with Deon Thompson adding 17. After a slow start (7-5), Crvena Zvezda took control of the game and earned a double-digit advantage (22-10), with a 15-5 run, to retain it until the end of the first quarter (31-20). Later, though, things changed. Bayern Munich steadily enhanced its overall performance and managed to cut the deficit to single digits (31-26, 38-35), playing great defence. The situation continued to be the same, with the visitors ending the first half down by just four (44-40). In the second half, the Germans exploded. Executing perfectly on both ends of the floor, they outscored their opponents 12-25 and took a nine-point advantage after 30 minutes in the game (56-65). But, the Serbians came back, played great defence and made a 18-8 run to regain the lead (74-73). 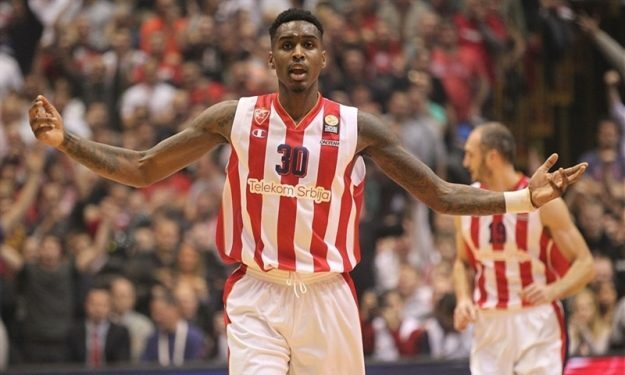 In the remaining minutes, it was a tough and full of intensity game, with both teams fighting tooth and nail for the victory, however Crvena Zvezda stood tall in the end, hit big shots and earned the win to advance to the next phase, whereas Bayern Munich were eliminated and will now compete in Eurocup.